Abdulwahab Abdullah Al-Hajjri was born in 1958 in Yemen. He graduated from Yemen’s Sana’a University Faculty of Sharia and Law. He earned his Masters degree (LLM) in 1986 from the Washington College of Law at American University, Washington DC, and continued his post graduate studies in Human Rights Law at Al Azhar University, Cairo. The ambassador decided at an early age to follow in his father's footsteps and become a diplomat. 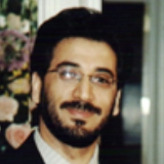 Al-Hajjri's father served as ambassador to Kuwait before becoming Prime Minister. Al-Hajjri joined Yemen’s diplomatic corps in 1980, and was first posted to the US in 1982 as Cultural Attaché. He later served two terms in Cairo, then returned to the US in 1995. In 1997 Ambassador Al-Hajjri was appointed as Yemen’s Ambassador to the United States. Al-Hajjri is also the Non-resident Ambassador to Mexico and Venezuela, and is the Permanent Observer of Yemen to the Organization of American States. He has three children who all grew up in the U.S., and two of them work in Washington D.C. He often appears on the pages of D.C.'s society magazines hosting nightly dinners and parties, some of which end with dancing until the late hours of the morning. He has been voted one of the top Washington hosts by society glossies Washington Life and DC magazine. But these days, he is busy with the recent developments in Yemen; he is been having regular meetings with senior US officials.